Check out Stripology & Stripology Squared rulers. 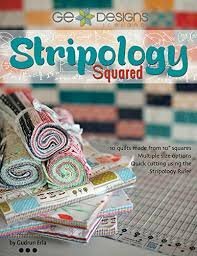 Book for use with the Stripology Ruler or Stripology Squared Ruler by Gudrun Erla. Features 10 quilts made from 10" squares. Mulitple size options.